Be it for children’s or adults! No matter the kind of party, a good dress up or fancy dress for the party is what we love more. Whether you are the kind who like to buy or seek out costume hire for every party or the more the type who picks their one good costume and breaks it out occasionally, below are some favorite dress up which are sure of be a talk of the party. Transform your little queen into the fairest maiden on the party with a charming and popular character from the Grimm’s Fairy Tale Snow White costume. From the French folktale, Cinderella is yet another popular fairy tale character or the Little Glass Slipper. Beautify your little girl in a glass slipper, pretty pink Cinderella costume (or something similar) involved, in addition to making the experience interesting teach her to say a line from the story. 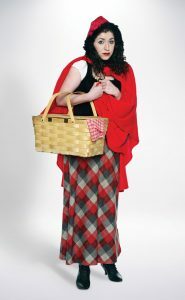 One of the easy fancy dress costumes you can make at home is the Little Red Riding Hood costume. All required is a red cloth which with a hood can be turned into a cloak, and your little queen is all set for the party. With a cool prince’s costume, you can turn your little boy into the most charming prince ever. With crown made of cardboard, a dagger and a cloak made from a velvety cloth you can create your charming prince costume at home. With a short dialogue added to the costume, your little prince is ready to save his damsel in distress. Popularly referred to as the good robber who stole from the rich and distributed to the poor. Robin Hood is a legendary vigilante character who lived in Sherwood Forest and led a band of Merry Men he is highly skilled in archery. Whether you opt to dress up like you are prepared for a fast round of 18, or you opt to luxuriate in a bit of party golf yourself, pub gold clothing is all the age. You just need some attractive questionable checked bottoms/jumpers and visors as it is relatively easy to pull off. Why not give yourself a trait to the era of big hair and legwarmers and reminisce with some 80s fancy dress? Whether you want to dress up as one of the many icons of the era of Madonna, Freddie Mercury or Ghostbusters, or you wish to bring back that iconic 80s fashion by digging out some of your old wardrobes, there are a wealth of options for great 80s fancy dress costumes. In addition, get yourself kitted out with a mullet or perm to give your hair a real 80s makeover! The era of flapper girls and gangsters, why not go way back in time to the 1920s. These guys knew how to party; they didn’t call it ‘The Roaring 20s’ for nothing. The ladies can dress up in the fascinating sparkle flapper dresses, while the guys can live out their gangster fantasies by getting their Tommy guns out.